Are you taking your kids to an egg hunt this year? 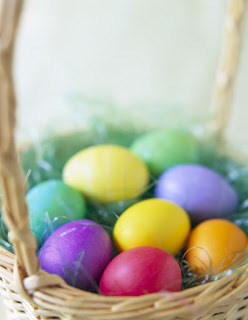 If so, there are many great South Florida egg hunts and Easter events that you can bring your kids to. I have put together a list of my favorite Free Easter events in South Florida. When: Saturday, March 31rd 9 a.m.- noon. Cost: $2 per person; free if you bring two canned goods. Event Details: Meet the Easter Bunny and Bella the Clown. Event highlights will include a bounce house, fun activities and music spun by My Favorite DJ. When: Saturday, March 31rd 10 a.m.- 1:30 p.m. Event Details: Hunt for special prize eggs, go on a hay ride and enjoy pictures with the Easter Bunny. Event Details: Continuous Easter Egg Hun (eggs will be empty and exchanged for a bag of candy), inflatables, bounce houses, rides and more. Event Details: Springtime fun at the nature center, where you can let a very large rabbit guide you through a maze, play some hopping games, and make a craft to take home with you. Florida Free and Frugal is all about frugal family fun, free events, free kids activities and cheap things to do in Florida. At Florida Free and Frugal you can find ways to travel on a budget in Florida.